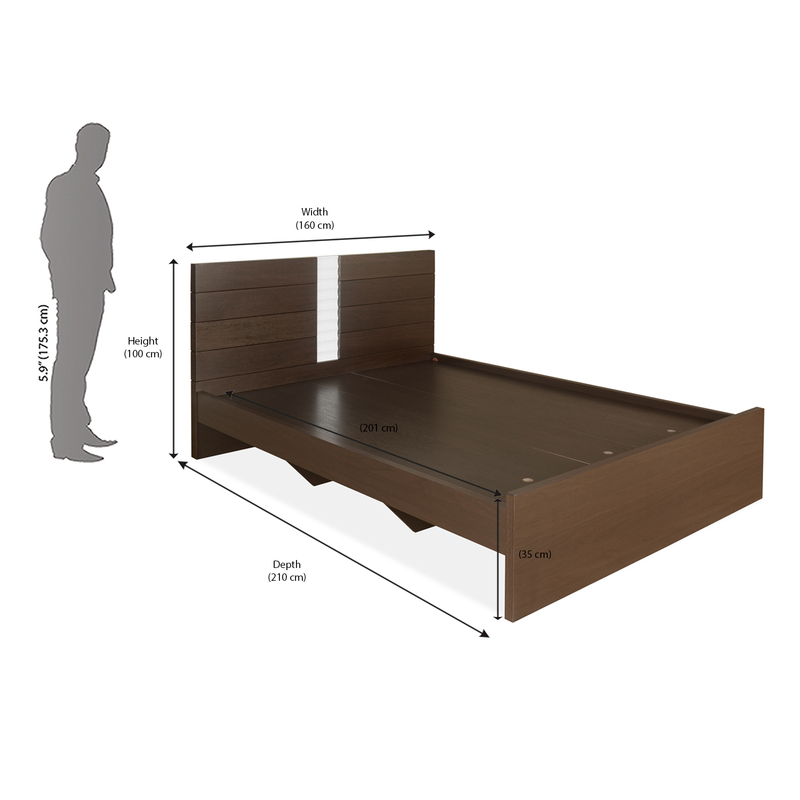 Enhance the look of your bedroom with Natasha Queen Bed without storage - @home by Nilkamal, Dark Walnut. This bed is designed to seamlessly blend with your interiors. Lay down and de-stress yourselves every night after an exhausting day on this luxurious queen bed. The bed is nicely spacious for two people to sleep with ease and comfort. The dark shade of brown redefines elegance, giving your room a magnificent look. Refresh your interiors with this skillfully crafted furniture by @home.